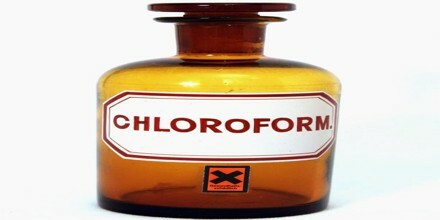 Chloroform is a colorless, toxic, sweet-tasting liquid formed by combining methane with chlorine. 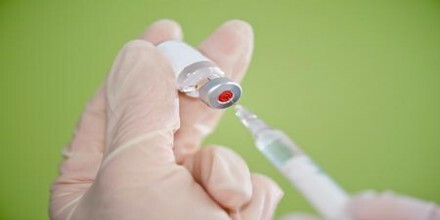 It is used as a solvent and was once widely used as an anesthetic. Acute chloroform toxicity results in impaired liver function, cardiac arrhythmia, nausea and central nervous system dysfunction. As a byproduct of water chlorination, chloroform may be present in small amounts in chlorinated water. It is found in spearmint. Indirect food additive arising from adhesives and polymers Chloroform is a common solvent in the laboratory because it is relatively unreactive, miscible with most organic liquids, and conveniently volatile. Chloroform was an amazing polar organic solvent for a lot of organic chemistry until it fell out of favor due to environmental considerations. It’s often used as a clearing agent in place of xylene when processing tissue. The clearing agent removes alcohol from the cells and replaces it prior to impregnation with wax. The wax than enables the cells to survive thin slicing by a microtome prior to staining and examination by microscope. Dichloromethane is also beginning to be phased out. Nowadays deuterated chloroform is widely used as an NMR solvent but that’s all people can think of. Chloroform has niche uses in amateur chemistry since most other now widely used solvents aren’t as easily accessible to home chemists such as THF or diethyl ether. In 1847, Scottish obstetrician James Y. Simpson was the first to demonstrate the anaesthetic properties of chloroform on humans and helped to popularise the drug for use in medicine. By the 1850s, chloroform was being produced on a commercial basis by using the Liebig procedure, which retained its importance until the 1960s. Today, chloroform along with dichloromethane is prepared exclusively and on a massive scale by the chlorination of methane and chloromethane. Chloroform is used as a solvent in the pharmaceutical industry and for producing dyes and pesticides. Chloroform is an effective solvent for alkaloids in their base form and thus plant material is commonly extracted with chloroform for pharmaceutical processing. 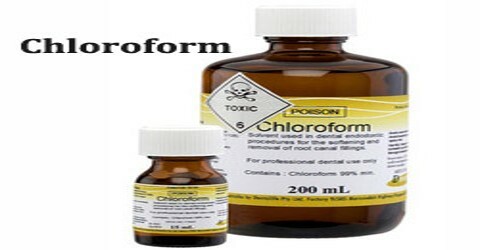 Chloroform is the organic compound with formula CHCl3. It does not undergo combustion in air, although it will burn when mixed with more flammable substances. It is a member of a group of compounds known as trihalomethanes. Chloroform has myriad uses as a reagent and a solvent. It is also considered an environmental hazard. Chloroform is majorly used for the manufacturing of Freon refrigerant R-22. The application of R-22 as refrigerants has been phased out in developed countries due to global warming, but it continues to be in high demand in developing countries owing to its easy availability and manufacturing. It has been used as a prominent anaesthetic during medical surgeries ever since its effects were discovered. It has been shown to exhibit antifoaming agent, anti-coagulant, depressant, analgesic and anti-fungal functions. 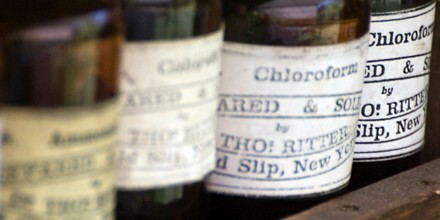 Chloroform belongs to the family of Organochlorides. These are organic compounds containing a chlorine atom. The uses and application of chloroform is now overshadowed by its harsh effects on environment and human body and hence the use of this compound has been significantly suppressed in most countries.